The discussions about the importance of artificial intelligence in our life have gained momentum in recent years. Is it a boon or a bane to the future of human existence?, is an ongoing debate. The very idea to create an artificial intelligence is to make the lives of humans easier. Researchers of artificial intelligence want to bring in the emotional quotient to the machines along with the general intelligence. Now as we have got an idea of what is AI (artificial intelligence), let us have a deeper understanding on things related to it as well. With the rise of computers, the process of doing manual work has been decreased to a great extent. Now that computers are used almost in every sector, humans are highly dependent on it. As we are totally surrounded by machines and computer systems, this gave humans a general thought like “Can a machine think and behave like humans do? “. Though this was a general thought, its curiosity leads to the development of artificial intelligence (AI). AI development has begun with an intention of developing intelligence in machines similar to that of humans. The systems which are mentioned here should have the ability to display intelligent behaviour, learn, demonstrate, explain, and provide the users with best advices. This intends to develop systems which can understand, think, learn, and behave like humans. As per the definition of AI, it is the science and technology which are based on regiments like Computer Science, Biology, Psychology, Linguistics, Mathematics, and Engineering. It plays an important role in strategic games like chess, tic tac toe etc. Here the machine should be able to think of multiple possible steps based on heuristic knowledge. Able to communicate with the computers that understand human used natural language. There are a few applications which incorporate machine, programming, and some special data to confer thinking and prompting. They give clarification and exhortation to the users. These type of systems are able to understand, interpret and grasp visual input on the computer. Ex: A spying plane or drone takes pictures, which are utilized to make sense of spatial data or guide of the zones and areas. You will find some systems which are able to understand the language which is used by humans and talk to them. They can even understand the slang, background noise, accent etc. This special software will be able to read the text written either by a pen or stylus on paper or screen respectively. It also understands the letter shapes and will convert it into editable text. They are comprised of sensors which detects few physical data like light, heat, temperature, movement, pressure etc just like humans. They also possess good processors and huge memory. The best part about these systems is that they are adaptable to the environment around them. Now, let us look into the pros and cons of artificial intelligence. Creation of artificial intelligence requires huge costs as they are very complex machines. Their repair and maintenance require huge costs. They have software programs which need frequent up gradation to cater to the needs of the changing environment and the need for the machines to be smarter by the day. In the case of severe breakdowns, the procedure to recover lost codes and reinstating the system might require huge time and cost. Intelligence is believed to be a gift of nature. An ethical argument continues, whether human intelligence is to be replicated or not. Machines do not have any emotions and moral values. They perform what is programmed and cannot make the judgment of right or wrong. Even cannot take decisions if they encounter a situation unfamiliar to them. They either perform incorrectly or breakdown in such situations. Unlike humans, artificial intelligence cannot be improved with experience. With time, it can lead to wear and tear. It stores a lot of data but the way it can be accessed and used is very different from human intelligence. Machines are unable to alter their responses to changing environments. We are constantly bombarded by the question whether it is really exciting to replace humans with machines. In the world of artificial intelligence, there is nothing like working with a whole heart or passionately. Care or concerns are not present in the machine intelligence dictionary. There is no sense of belonging or togetherness or a human touch. They fail to distinguish between a hardworking individual and an inefficient individual. Do you want creativity or imagination? These are not the forte of artificial intelligence. While they can help you design and create, they are no match for the power of thinking that the human brain has or even the originality of a creative mind. Human beings are highly sensitive and emotional intellectuals. They see, hear, think and feel. Their thoughts are guided by the feelings which completely lacks in machines. The inherent intuitive abilities of the human brain cannot be replicated. Replacement of humans with machines can lead to large-scale unemployment. Unemployment is a socially undesirable phenomenon. People with nothing to do can lead to the destructive use of their creative minds. Humans can unnecessarily be highly dependent on the machines if the use of artificial intelligence becomes rampant. They will lose their creative power and will become lazy. Also, if humans start thinking in a destructive way, they can create havoc with these machines. Artificial intelligence in wrong hands is a serious threat to mankind in general. It may lead to mass destruction. Also, there is a constant fear of machines taking over or superseding the humans. Identifying and studying the risk of artificial intelligence is a very important task at hand. This can help in resolving the issues at hand. Programming errors or cyber attacks need more dedicated and careful research. Technology companies and technology industry as a whole needs to pay more attention to the quality of the software. Everything that has been created in this world and in our individual societies is the continuous result of intelligence. Artificial intelligence augments and empowers human intelligence. So as long we are successful in keeping technology beneficial, we will be able to help this human civilization. Everything that has been created in this world and in our individual societies is the continuous result of intelligence. Artificial intelligence augments and empowers human intelligence. So as long we are successful in keeping technology beneficial, we will be able to help this human civilization. 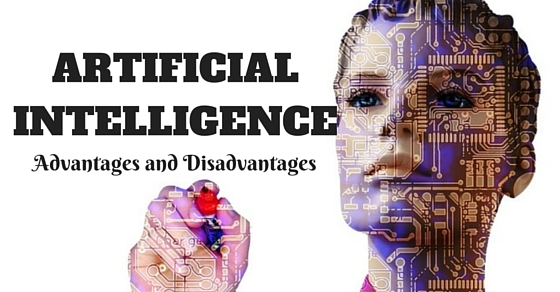 In the recent times and in the near future, the need of having beneficial effects of artificial intelligence on the society has motivated research in many areas like security or control to nontechnical topics like economics and law. While laptop crash might be a little trouble, but this is a highly undesirable event if it is an aeroplane autopilot software malfunction or a lapse on your trading terminal or even your power grid monitoring. Lethal autonomous weapons are also a product of artificial intelligence and the near future challenge is to control the same. Creating artificial intelligence is perhaps the biggest event for mankind. If used and developed constructively, we can use artificial intelligence to eradicate poverty and hunger from the human race. The argument that will we ever achieve that supreme level of artificial ever is on.The creators and perpetrators of artificial intelligence insist that machine intelligence is beneficial and has been created to help the human race. The power of artificial intelligence that unintentionally causes destruction and damage cannot be ignored. What will help us control it better is research and in-depth study of the importance of artificial intelligence. Computer scientist Peter Abbael of the University of California says “that robots will be able to keep us much safer from destruction in near future”. It will help us in taking care of the old without tiring out and hence human beings will enjoy independence for a longer period. He predicts that AI can help us in drastically reducing traffic accidents. It can bring such incidents to zero if developed properly. Shimon Whiteson believes that man and computer are not separate; they are in fact a single cognitive unit. Yoky Matsuoka has a unique example of AI benefit. Suppose a human being loses a limb. Now he has been given an artificial limb. Just imagine the wonders AI can do to the person if the limb can be operated through machine intelligence. Things that the human being is not able to perform on his own anymore are performed by the machine intelligence and he is able to enjoy the fruits as if he is performing the act. Wonderful, isn’t it? Thomas Dietterich is absolutely fascinated by the idea of the combination of human and artificial intelligence. He believes that machine intelligence in future can give us augmented sensory abilities like extended vision or ability to hear and he also coined a term ‘exoskeleton’. As per him, this will help us to walk around even when our bones are weak when we are old. Your eyes and ears fail you but AI helps you to continue to hear and see. Stuart Russell believes that all the problems that we encounter including that of climate change can be addressed with the help of artificial intelligence. Artificial intelligence magnifies the human intelligence and it can only take this human civilization forward and not backward. It can predict an environmental catastrophe and help us act fast, cure a disease or even help us eliminate poverty. “The sky is the limit” – says Oren Etzioni, CEO of Allen Institute of Artificial Intelligence. Everything that human beings have contemplated starting from space exploration to finding a solution to the deadly Ebola, could have been more documented and tractable with the impact of artificial intelligence. AI will document the footprints of human developments. AI and robotics will not only improve the way we think or live our lives but also explores new horizons, whether space or the ocean. As the age old saying goes, the need is the mother of all innovations, so it is with AI also. Humans are getting increasingly better in defining their wants and quickly transforming this want into reality. Things will happen so fast that we will not notice the minor changes and will be easily adaptable to the change it brings to us.